Mom (1933 - 2010) and I, all ready for Halloween! Photo: As I was packing up my mom's home over the last six months, we found three boxes of photo slides in mom's attic. I recently had them all made into a DVD slideshow . . . the photo above is one of many precious photos in those boxes, that I have never seen before. 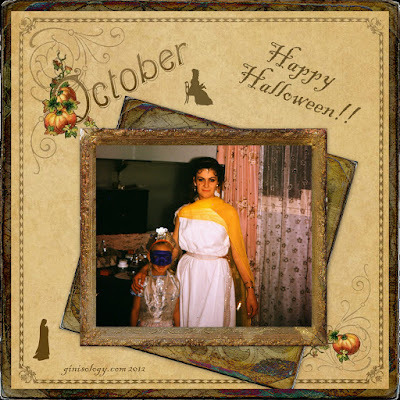 I remember mom's costume so well . . . she looked gorgeous!